Views across the beautiful County of Oxfordshire - our green and pleasant land at its very best. In the distance, the Chiltern Hills and Buckinghamshire. The verdant Vale of the White Horse and beyond to the chalk downs of Royal Berkshire. Views over the market town of Faringdon, nestling below Folly Hill, the site of the Civil War 'Battle of Faringdon' 1645 - and onwards to Swindon and pastoral Wiltshire. On a clear day the panorama from the crow’s nest of the Tower stretches out twenty-five miles from Faringdon, and if you have eagle eyes you may be able to count up to thirty parish churches scattered across the carpet of countryside. The Tower also came into its patriotic own during World War II, providing a good vantage point not only for the Home Guard, but also for a German spy who was discovered surveying the Vale! 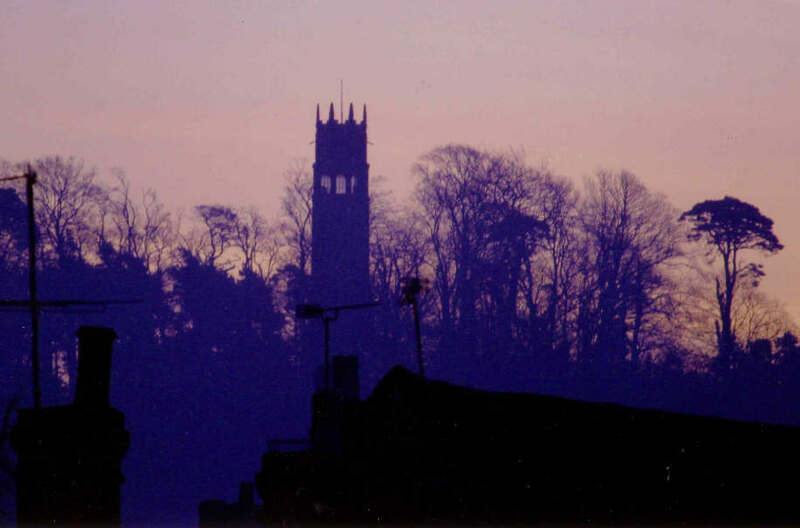 The Tower was then kept locked until 1985, when Robert Heber-Percy had it restored and left it in trust for the people of Faringdon, allowing residents and visitors to once again enjoy the views from the top. With such stunning vistas, perhaps Lord Berners’ Folly isn’t as useless as he intended! Towering over Downs, Wold, Valley and Vale Folly Hill rises 300 feet above the surrounding countryside and the superlatives describing the stunning views across four of the most beautiful counties in England are found in prose and poetry that long predates the additional 100 feet of viewing pleasure added by the Tower. The sun rises over the verdant Vale of the White Horse, before it takes us South across the more dramatic chalky Downs in the Royal County of Berkshire. Pastoral Wiltshire in the West soaks up the last rays of the setting sun. To the North we have Gloucestershire and the rolling Cotswold countryside. The meandering willowy Thames then takes us East and back into beautiful Oxfordshire. Our green and pleasant land at its very best.